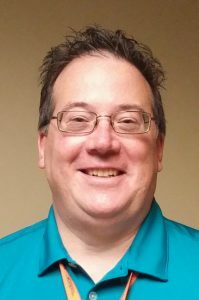 Bertrand Chaffee Hospital has put together an update on the progress made on our Statewide Healthcare Facility Transformation Program grant as of December 2017. For additional copies, please contact kkane@bch-jbr.org. 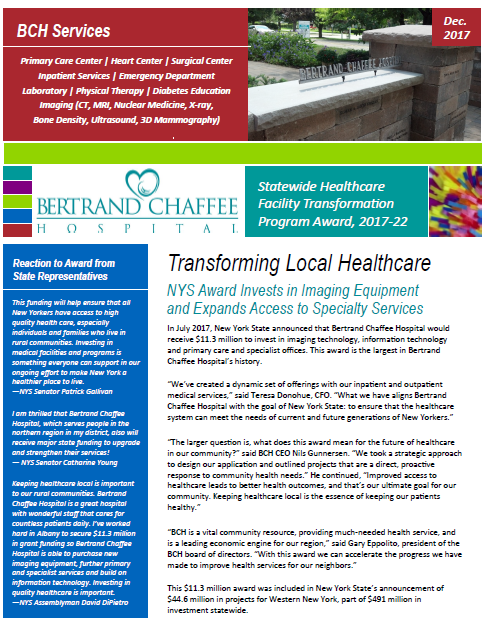 William Wnuk, MD sent the following letter to local newspapers in regards to Bertrand Chaffee Hospital’s award through the New York State Department of Health. Bertrand Chaffee Hospital’s recent award of $11.3 million from New York State’s Department of Health represents a significant investment of taxpayer dollars in our community. For the medical staff of our facility, it represents something else. That is, that our progress and plans have been recognized as meaningful and worthy of funding. Health outcomes for individual patients and community at large are a priority for us as medical practitioners. This award will reinforce the work that we are doing to develop primary care, specialist practices and imaging services at our campus. 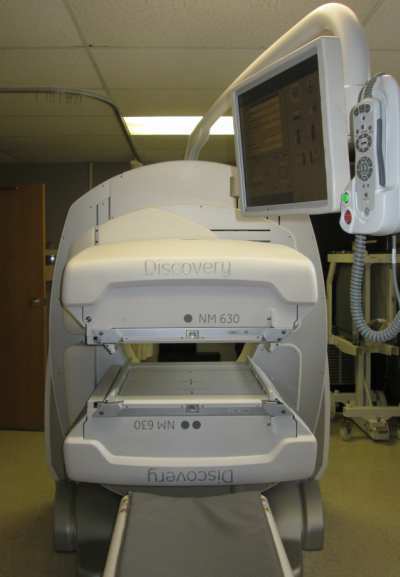 The direction of healthcare has been leading towards an emphasis on preventive care. Bertrand Chaffee Hospital stepped out on that path in 2010 with the introduction of primary care services. With providers caring for hundreds of patients each week, we are committed to continuing our significant role in the region’s health initiatives. We’ve introduced a new phrase at the hospital and nursing home: #teamchaffee. It represents that we are all here, working together, to make sure the health of our patients is maintained and improved. As rural facilities like ours continue to face challenges, our efforts are being encouraged – not just by New York State, but by our patients and our community. Thank you for being a part of a tradition of quality healthcare that will extend far into the future. 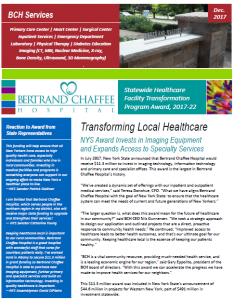 Bertrand Chaffee Hospital received word this week from New York State and the Department of Health that our application for funding through the Statewide Healthcare Facility Transformation Program was approved. Additional information will follow, but we want to extend a sincere thanks to area legislators who have been supportive of our application: NYS Senator Patrick Gallivan, NYS Assemblyman David Dipietro, NYS Senator Catharine Young and Cattaraugus County Legislator Richard Helmich. Our deepest thanks, too, to Governor Andrew Cuomo and the New York State Department of Health for investing state funds in our facility and supporting the future of local healthcare in our rural region. Our application outlined an $11.3 million investment in equipment, technology and site development over a five-year period. 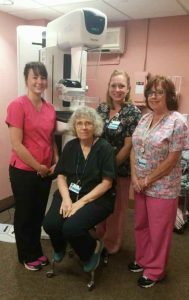 Our projects will improve healthcare access to primary care and specialty services, upgrade imaging and technology infrastructure, and preserve jobs and health services for residents in southern Erie, northern Cattaraugus and Wyoming Counties.